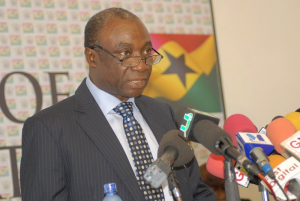 Dr Kwabena Donkor, former Minister of Power, has said that there is still an opportunity for government to engage AMERI Energy over possible review of the terms of the power purchase agreement. According to him, it was wrong for the government to criminalise other parties in the deal before engaging them for discussions. Dr. Donkor made the statement when he appeared before Parliamentary Committee on Mines and Energy over the AMERI Energy deal. Dr Donkor was also at the Committee to respond to questions over the $ 510 million emergency power deal signed to shore up the country’s energy supply. Mr Kobina Tahiru Hammond, Member of Parliament (MP) for Adansi Asokwa had filed an urgent motion to have the deal terminated. Mr K.T. Hammond explained that AMERI Energy overcharged the government and sublet the contract to Turkish firm, Power Project SANAYI (PPR) at $ 315 less than what was charged. Dr Donkor also noted it would be wrong for the Majority in Parliament to move to have the deal rescinded. He said the Standing Orders of Parliament did not allow for a change of decision taken by another Parliament. He argued that the intentions of the majority may be honourable but the process they were using was wrong. Dr Donkor also stated that because the country was out of the emergency situation it was easy for people to criticise the Ameri deal but in the midst of the emergency what the nation needed at the time was power at all cost to turn the fortunes of the economy around. He said government at the time took the right decision at the right time to save Ghanaian businesses from shutting down. “In emergency, the most important thing is the outcome and not necessarily the process” he added. Dr Donkor further stated that any move by the majority to rescind the deal would have negative impact on Ghana’s investment climate.